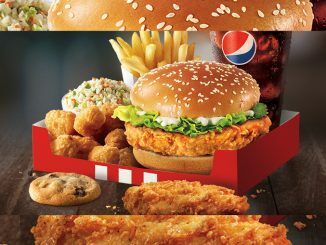 KFC Canada kicks off the 2018 holiday season with the launch of the Reveals $30 Festive Double Bucket and Mighty Bucket for One. 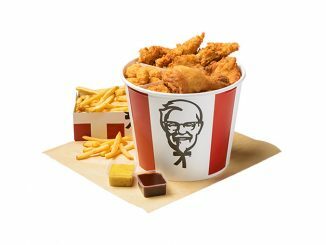 The Festive Double Bucket features eight pieces of the brand’s hand-breaded Secret Recipe bone-in chicken served with a 4 Tenders and Popcorn Chick’N Share bucket. The meal also includes medium fries, plus your choice of medium side and 2 dips for $30. 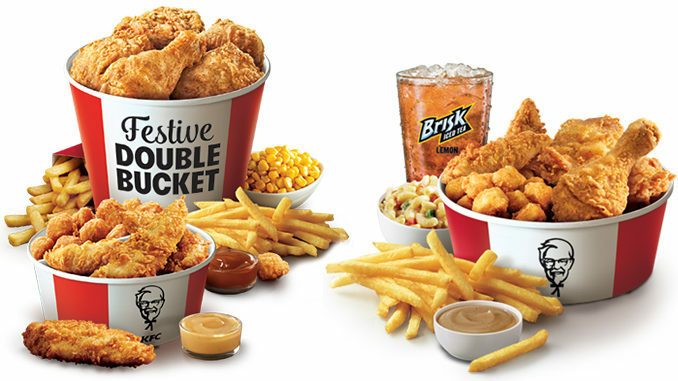 In additional to the Festive Double Bucket, KFC is also serving a Mighty Bucket for One. The bucket includes two pieces of classic bone-in chicken, two tenders, individual Popcorn Chicken, individual fries, an individual side plus your choice of drink and a dip for around $10.69. You can find the Festive Double Bucket and Mighty Bucket for One at participating KFC locations across Canada for a limited time. Prices may vary by location.